1833 - The Prophet Joseph receives Doctrine and Covenants 92, which appoints Frederick G. Williams as a “lively” member of the United Order. 1839 - The prisoners in Liberty Jail, including the Prophet Joseph Smith, in Liberty, Missouri, petition the judge to appear before him to plead their case of being illegally confined in the Jail and to give them the opportunity to defend themselves against the false charges brought against them. 1842 - Joseph Smith officiated in the installation of the Nauvoo Lodge of Free Masons. Also, an installment of Joseph Smith’s translation of the book of Abraham, including facsimile 2, was published in the Church periodical Times and Seasons. 1845 - The Twelve Apostles, Presidency of the Seventies, Temple Committee, Trustees and Architect, met in council and decided to put all their efforts into completing the Nauvoo Temple. Other projects in the city of Nauvoo would be put on hold until the Temple was completed. 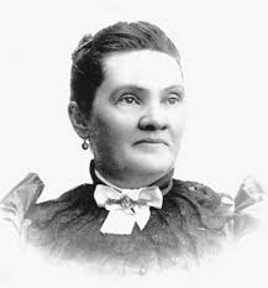 1877 - Romania Pratt Penrose graduates from the Women’s Medical College in New York. She is the first LDS women to earn a medical degree. 1970 - The first stake in Japan is organized at Tokyo. It is the first stake of the Church in Asia. 1980 - The Church News reported on the dedication of the David O. McKay Building of Brigham Young University---Hawaii. 1989 - The first branch of the Church in Kenya is organized in Nairobi. 2003 - The first meetinghouse in Guyana was dedicated at Georgetown.